Home » Environment • Things to See and Do » Are you a fervent frogger? Are you a fervent frogger? Find a Frog in February with the Mary River Catchment Coordinating Committee. 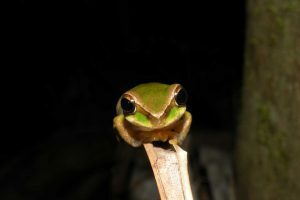 Download the Australian Museum’s FrogID app on your smartphone and join the ‘Find a Frog in February-MRCCC’ group – so you are ready to send in your recordings of frog calls. Teachers can get ready to involve your students in meaningful scientific data collection – there are some great teaching resources on the FrogID Website. Set up your own group on FrogID or use the MRCCC data sheets as a class exercise. Find a Frog in February is supported by the Gympie, Noosa, Sunshine Coast and Fraser Coast councils. Art and Photography Show is finally here!